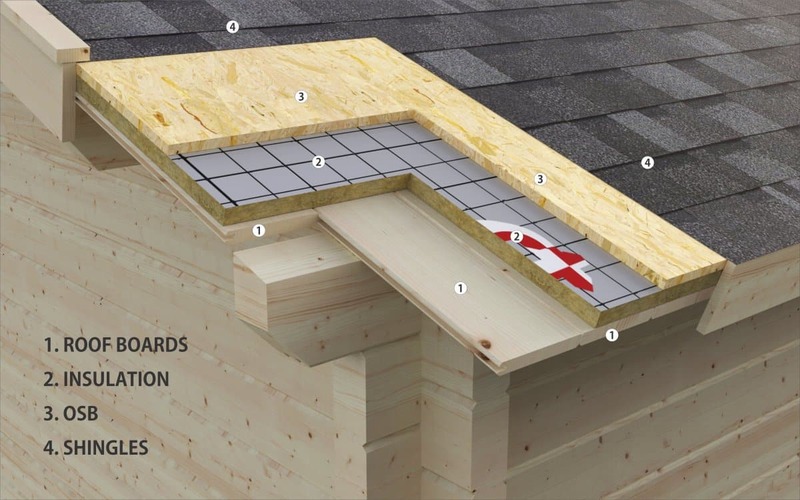 Roof insulation kit consists of 25mm insulation boards, 12mm OSB boards and 50mm screws. Place insulation boards on top of roof boards. Start from lower end of the roof, cover the entire roof with insulation boards and cut the last boards to size. Place the boards tightly to each other. Then place OSB boards on top of insulation boards and fix with screws in all four corners of each OSB board and one in center. Finally cover the roof with roofing felt, shingles or other type of roofing material. 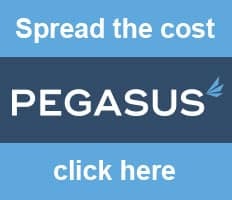 We recommend and supply Icopal self-adhesive roofing shingles for apex roofs and extra durable self-adhesive Firesmart roofing felt as well as EPDM roofing for pent- and flat roof cabins as well as for apex roof cabins. 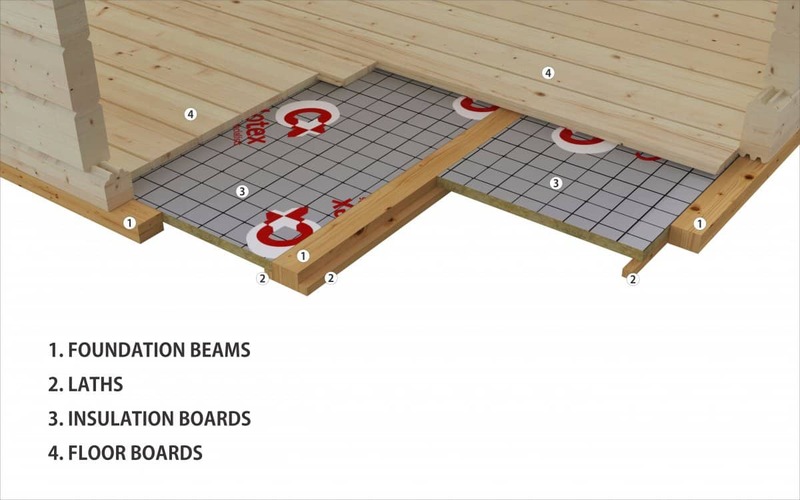 Floor insulation kit includes impregnated wooden laths, screws and insulation boards. Impregnated laths will support insulation boards and keep all boards on the same level beneath the floor boards. First screw these laths to foundation beams, then cut the insulation boards to size, so that they will sit tightly between the foundation joists, install insulation boards and then the floor boards. The floor and roof insulation of a 20 m2 or larger garden room, depending on the roof type, costs around 800-850 euros and the entire insulation work should be achievable within 4-5 hours, which we think is a worthwhile extra to add to your garden room, garden office or to any other wooden building, if you’d like to use it year round.